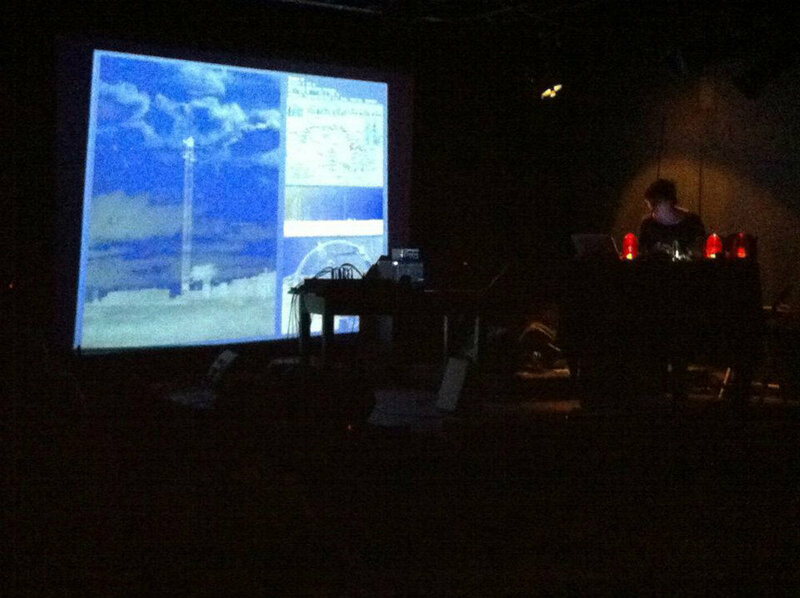 Requiem for Radio: Pulse Decay is a solo performance for theremin conjuring the ghosts of the RCI shortwave towers. Control Voltage output from both the pitch and volume antennae of the theremin are run through an arduino analogue to digital converter, and converted into binary slip packets which are then sent to SuperCollider and Processing programs to trigger audio and video of the radio towers. Audio: There were 13 radio towers, which lend themselves to a 13 note chromatic scale from tonic to tonic (C4 to C5). Each contact microphone recording was filtered to highlight the specific frequencies of a note within that chromatic scale. Image: Each audio sample of a tower is paired with a visual image of that tower. During my time at the RCI site, I made a series of "portraits" of each tower. Most people photograph or draw the towers in landscape format capturing all of them and their webbing on the marsh at once. I, wanted to instead create individual portraits of each tower, singling them out from the group. The images for this performance are composites: a vertical portrait of the tower on the left, with statistical information of the tower's name, height, and other info on the upper right, an aerial map of the site with that specific tower circled in red, a landscape view of the whole site with that tower circled in red, and an image taken looking up from the base of the tower from where I made the contact mic recording.